For six months a year, an initiative called Bella Mossa (“Good Job”) operates within the city, which rewards users of sustainable forms of transport with free beer, ice cream or film tickets. 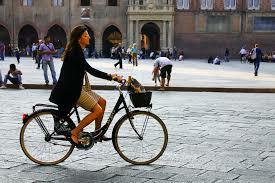 Bravo city of Bologna, great initiative! Let’s hope some other cities in Asia follow up.